More Grackle, Less Grackle. What’s Your HEB? Rensong Harris on Happy Ad Wednesday! Organic Berries on the Cheep! 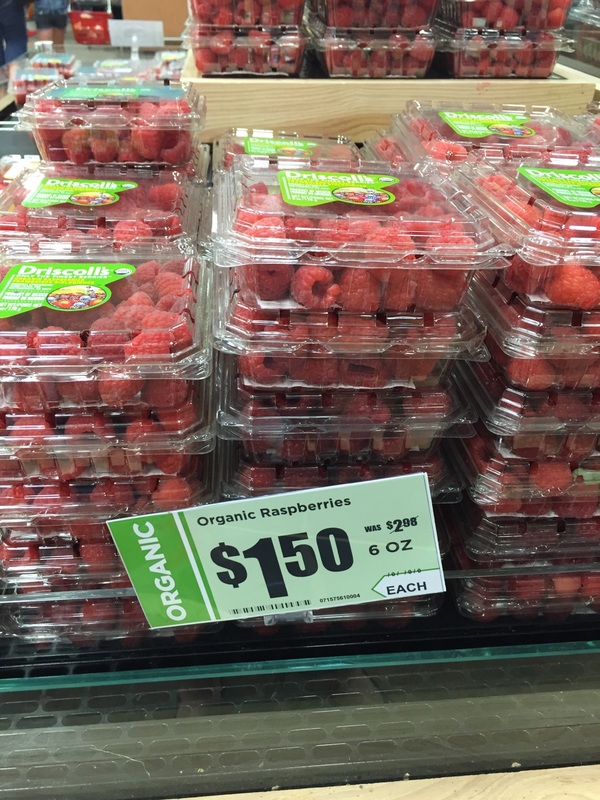 A Cheepster reports that the HEB at Slaughter/Manchaca has organic raspberries for $1.50 and CONVENTIONAL (sorry for the caps, it’s an edit!) blackberries for $1.25. Head over before she buys them all! I find weird things in grocery stores. I know a place where you can buy a whole chicken in a can. Think about that. Why do I know that? Because I’m always looking on the shelves, and at the ads. My cooking style is pretty much ‘I’ll try anything once if it isn’t too expensive’, so I look at top and bottom shelves, and I look at every page of the ad. That’s creepy right? Or am I just being influenced by a husband binge-watching Dexter for a week now? Do I fill them with salmon? I don’t know what else to do with these. What goes with cottage cheese and dill? That seems like a done thing. Tortillas aren’t supposed to be demanding, they’re supposed to be supple help to maneuver yummy stuff to my face! Which is at my local store and available to anyone via Amazon! Doesn’t this give you the willies? This week has some new produce sales spreading. Cherries are in many stores, but Sprouts has them cheapest. Peaches, are all over as well, those are cheapest at HEB. Grapes are under $2/lb at all the chains, but Randalls wins at $1.49. Avocados are 25c at Fiesta, so maybe I’ll finally get around to the Avocado Math problem I’ve been wanting to solve. Randalls has large avocados for 99c, and while I do usually avoid their produce, for the sake of science I can give them a pass. Oh, Fiesta. Why do you have made-up food on sale? That’s it for this week, Cheepsters! Try to stay dry, turn around don’t drown, and remember the liquor stores close at 9pm. Wondering what to do for dinner? The $5 Friday cheese pizza in the deli case at Randalls will get 4 kids through a movie. It’s not the best pizza in town, but it’s a good deal. Add popcorn, possibly a board game, and that’s quality family time on the cheep! This week’s silly thing is more along the lines of silly-surprising than silly-goofy. The many grocery options we’ve got are the reason I started this project. There are a lot of things people consider when shopping–organic, free-range, local, cheapest, dye-free, wheat-free, fair-trade, responsibly farmed…it’s a statistics project of its own for every family. Today, I present affordable organic meat, courtesy of Trader Joe’s. Yes, I post about cheaper chicken legs all the time. Legs or thighs are half this cost at HEB every other week. 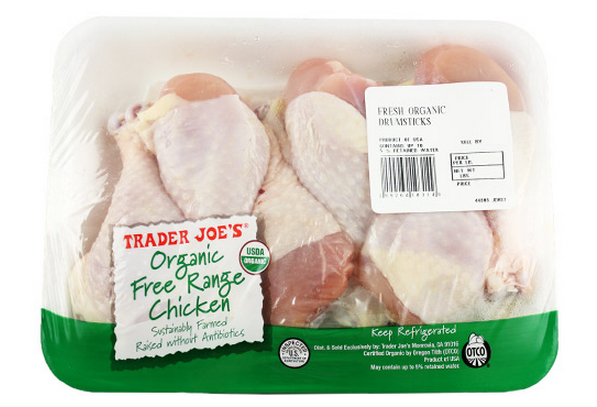 But if this is an issue that you care about, and your budget can swing it, Trader Joe’s has certified organic chicken legs for $1.99/lb. My general meat price is $2/lb. If you’re a meat product, and cost less than that, I’m considering buying you. This is sometimes good (yay freezer full of pork loin!) and sometimes doesn’t work out (pig ears, what should I do with you? and sweetbreads: you scare me), but it’s the point I feel good about stocking up on meat. Trader Joe’s has organic chicken legs, not on special, but always available at what I think of as my ‘stock up’ meat price. It’s true, my stock up price for chicken legs is the Fiesta 49c/lb sacks. I have to process those though, by removing the back bits and portioning out, which takes a fair amount of work. I do get stock out of the deal, but I know damn well those chickens aren’t living well. So this price interests me. It’s my meat price, but it’s 4x what I pay for that cut. I’ve started buying more organic fruits and vegetables when they’re on sale based on the Dirty Dozen, and maybe my budget can take this cheap organic into account, also. I’m glad TJ’s is offering it. Are you an organic meat buyer? I’d love to hear about what your price points are. Memorial Day–Holiday of meat, at least in Grocery Land. Growing up, Memorial Day always meant a parade through the neighborhood, and a walk to the ball field where there was a service, and then we all trooped over to the firehouse and ate hot dogs and went for rides on the fire truck. In Grocery Land, it’s weekend-o-grilling, and all the chains have several meats on deep discounts. Because meat sales this week are all over the place. I’m including a couple of things this week that I wouldn’t normally (tri-tip, pork tenderloin, T-bones) because they’re exceptionally good deals, and we all like to splurge sometimes if we can. Watermelons are under $4 at three places, and both HEB and Randalls have 6/$1 corn. 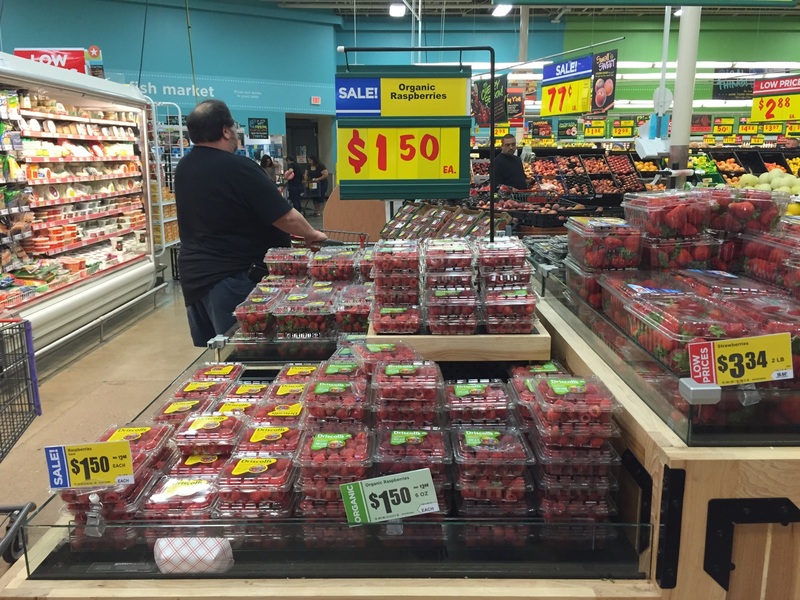 Buy blueberries at Randalls this week –HEB is nearly 2x that, Fiesta is nearly 3x. Fiesta has sacks of Key limes for 97c, which is enough for two pies (pick up some meat while you’re there–they have a wide variety on sale). 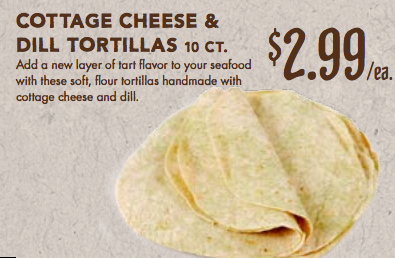 And finally, Randalls fixed the broken cheese ad–this week it’s at $5.99/20oz. So hopefully some of you managed to stock up for a week of grilled cheese sandwiches at $2.50! Hybrids are all around us. Cars? Hybrids, spelled right out on the bumper. Plants? Hybrids, saving us all from the horrors of having to spit orange seeds out. Zonkeys are clearly going to take over the world with cuteness soon. This one, though, I could have lived without. I like bagels. I like pretzels. I’m pretty easygoing on most things. Picturing this, though, I’m getting an image of fluffy white insides with leathery salty crust that ordinary tooth maneuvers don’t exactly get a bite through, leaving me with sandwich innards everywhere, or butter dripping down my shirt to pair with the grease stains from some pizza I once ate (I’m a mess, it’s true). It’s possible there is some taste benefit, but that would be due entirely to salt, which I can apply to a bagel already. We have the technology. It looks like this. Yes, I know, that one is nearly empty. 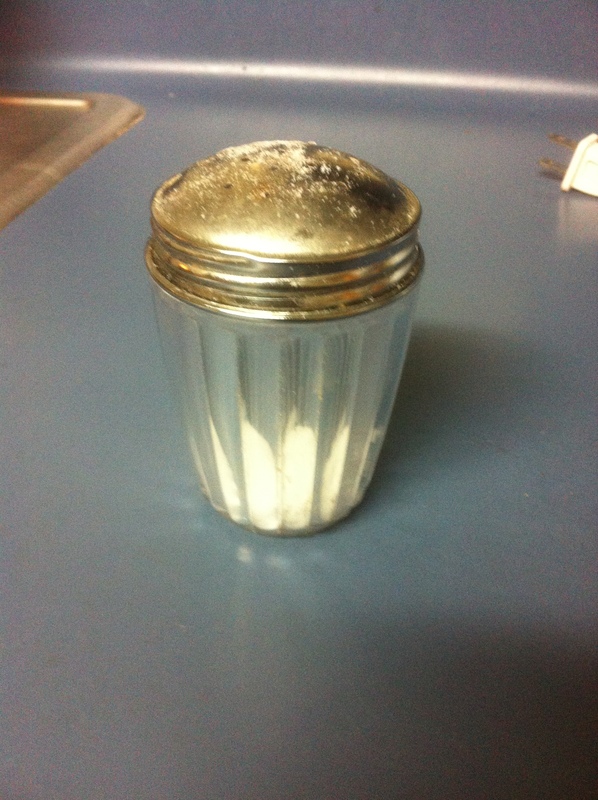 It is nearly empty because it’s useful. 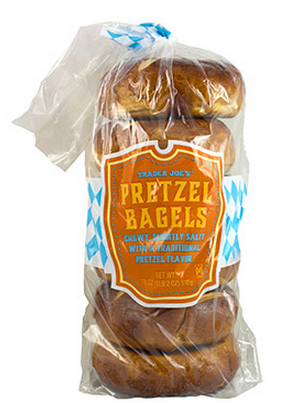 Which is more than I feel I can say about the Pretzel Bagel ($2.49 for an 18 oz bag of 6 at a TJ’s near you). Receive Cheepie in your Inbox!